Heath - Aust Gnd Ch Neuter Ch Eukypark Kingstn Heath was sired by Aust Ch Hampdach Zeus (Imp UK) - Dam Aust Ch Eukypark Classikcleo. He was proudly bred by Mr KD Morgan & Ms JM Taylor and is owned by PJ & AJ Howie & JM Taylor & KF Morgan. He lives in Western Australia and is shown by Anna Howie. Heath has a wonderful temperament and is such a character. He is an absolute pleasure to show and have as a member of our family. Heath only arrived here in Perth from Tasmania on 28th June, 2010. On 9th July at his first show The WA Kennel Club - Winter Festival, handled by Ann Howie he Won Best Puppy In Group under Judge Mr J Romirez Gomez (Mexico). Heath has since won 4 Best Puppy In Group, 2 Junior In Group, 1 Best Exhibit In Show at the DCWA Specialty Show judged by Mr E Patterson (Ireland)at which he attained his Australian Championship Title at just 9 months of age. At his first show for 2011 Heath won Best Junior in Group under Mrs J McRae (WA) at The LKC of WA on 15.1.2011.
at his latest show on 22.1.11 Heath Won Best Senior Puppy in group 4 at the WA Puppy of the Year competition. And at the CFR Ch Show 23.1.11 he won Runner Up Best Exhibit In Group & Best Junior in Group under Judge Mrs H Morrison (Tasmania). Heath's most recent win is Best Exhibit In Show at DCWA Open Show 10.09.11 & BOB Perth Royal Show 2011. 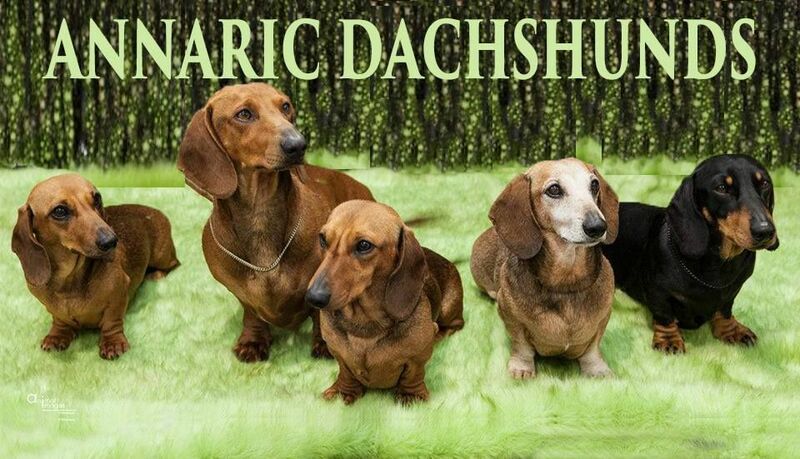 At the 10th National Dachshund Specialty Show Heath won BOB under Judge Mrs Pamela Peat (USA). He is now 4 1/2 years of age and is very close to his Grand Championship title.